Gorrie's Landscaping provides drainage solutions and installation of drainage systems for residential or commercial properties. 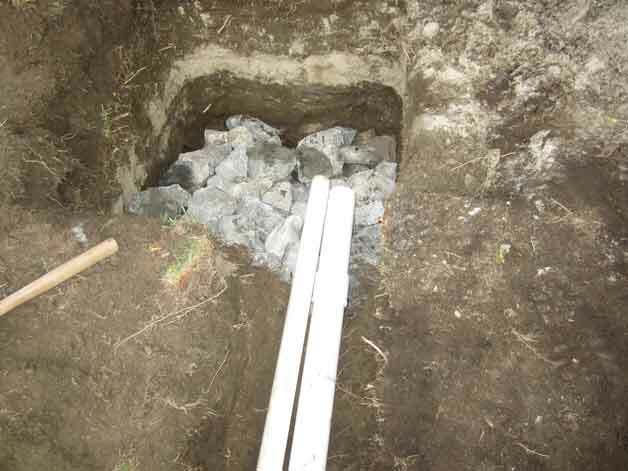 If you are looking for drainage contractors in the East Greenwich or Kent County area, be sure to check out the types of drainage systems we have to offer. Contact us for a free consultation. Our professional staff understands drainage systems, and is well versed with adding drainage pipe, one catch basins, or complex installation of sump pump type drainage systems. We have the expertise and equipment to meet your needs and be competitive with our pricing, so call us today. 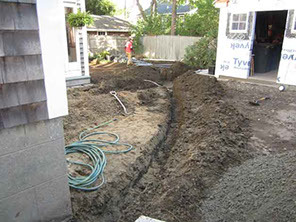 Based on your specific needs, we have many drainage solutions. At Gorrie's Landscaping, not only do we create professional looking landscaping solutions, but we also take the time to correct any underlying drainage issues. Ensuring optimal water flow on your property is vital to prevent future water problems for you and your neighbors and will allow you to enjoy your landscape project worry-free for many years.